The Bible story of Noah’s Ark is a great lesson in obedience for children and adults alike. Noah found the Lord’s favor, and did exactly as God desired, building a boat to house his family and many animals as well. This is also a great story for children to learn about God’s promises, as after the flood he places a rainbow in the sky and vows to never again flood the entire world. 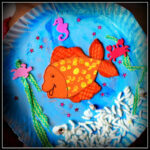 We made this little Paper Plate Noah’s Ark Craft when we were learning about Noah. Trace an arc shape using the paper plate on the brown paper. Cut the brown paper into a semi circle. 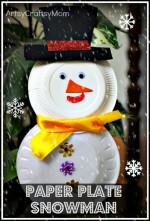 You can also , cut one of the paper plates and let your little one paint both pieces brown. (NOTE: You don’t want both sides to be the exact same size…so don’t cut in half…this is so that you can have two levels on your ark! If you only want one level, you could just use one half plate. 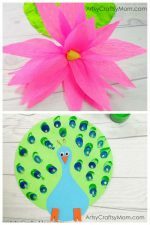 Colour the paper plate in rainbow colours starting from the outer edge. Paint a rainbow on the top 3/4 of the plate. You can print animal cutouts . (NOTE: scale the animal cutouts down when you print them so that they would fit onto the ark!) 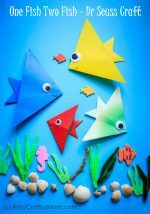 Once you have finished cutting, let your little one color their animals or use foam animal cutouts which we got it from Singapore. There are lots of animals to choose from. I let my e kiddos decide which animals they wanted on their ark. Add them in pairs. 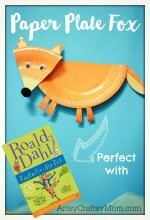 Have your children make this adorable paper plate ark to reinforce the Bible lesson. Your children will enjoy acting out the story using miniature animals. Why such a sad face for P? Hehe. She was upset because i told her off in front of her friends. This looks so beautiful, I love it!! !